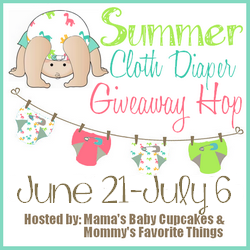 **A huge thanks to Buttons Diapers for sponsoring today's post and giveaway! Cloth diapers are fun no matter what time of year, aren't they? But nothing can compare to summer cloth! Warmer weather means its time to let the summer cloth show! With diapers so cute, who needs pants? I love finding a cute tee to coordinate with our favorite diapers for a cute and cool summer look! 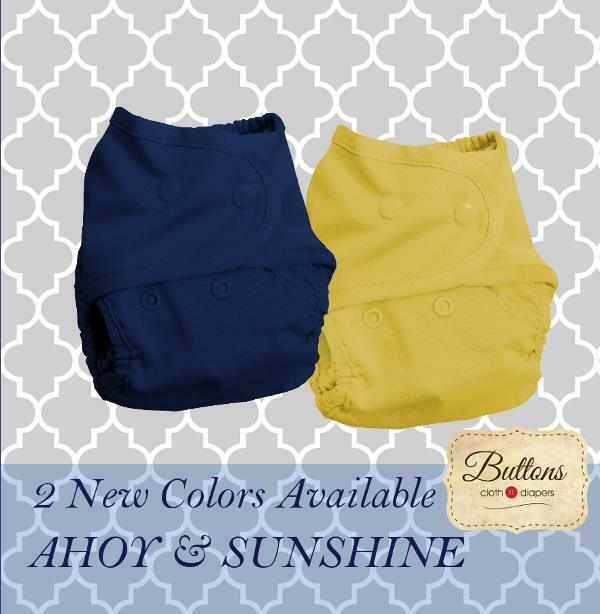 And when it comes to cute diapers, nothing can beat the cuteness of Buttons Diapers!! We have been fans of Buttons since my daughter was just a few months old. They worked wonderfully for our itty bitty girl, and looked absolutely stunning with their fun, vibrant colors and adorable button embroidery! You can read my original review here. But having done many cloth reviews- and having tried many varieties of cloth diapers on our own- I have learned that while some diapers work well for a certain stage, they lose effectiveness over time. Some due to quality, but many others due to fit, etc with a growing baby. But as we quickly approach my daughter's second birthday, Buttons have remained a go to in our stash! They still offer a great fit and have held up beautifully after many, many washes! And not only have they continued to work well for our little miss, they've also continued to grow cuter! They've introduced prints, and even more fun colors! In fact, they've just released two wonderful summer solids- Ahoy and Sunshine! Now, if you think they look adorable in the picture above, you will love them in person! They're more vibrant, more fun and more summery. Seriously, how adorable is Sunshine? Winner will be contacted via e-mail after giveaway ends, and will have 48 hours to respond before a new winner is chosen. One entry per household, winning entry will be verified. Odds of winning depend on valid entries received. A Modern Day Fairy Tale is not responsible for prize delivery Mommy's Favorite Things, Mama's Baby Cupcakes and the Summer Cloth Participating bloggers are not responsible for sponsors who don't provide prizes. I really love Ahoy, apple and sunshine! I really love the new colors, Ahoy and Sunshine, so I would probably pick those. It's hard to choose though, because there are still a few Button's diaper colors I really want like Sweet Pea, Marina, and Tangerine. PS I don't really think the new colors look like Stellar and Jolly..... Sunshine is more of a mustard yellow and Jolly is more of a highlighter yellow. I think I would choose the covers in Tangerine and Marina, although I really like the lavender too. I love buttons diapers. I would choose either acres or critters print diaper. I really like Ahoy and Sunshine! I'd get the new colors, ahoy and sunshine! I love Charming and Cherry. I really like Charming and Critter! I love the "charming" cover! I'd love to get the Ahoy and Acres covers. They're so cute! I'm in love with Sunshine, it's the perfect summer color. I would get Charming and Posey!! They are so cute!! I love the Ahoy cover, so cute! I like all the girly colors but Posy is my favorite. I'd love to try one, I've heard good things. I like thicket and tangerine! I like Posy and Strawberry!! Pebble and Charming. Love the button embroidery! I love Thicket and Charming! I like their diaper covers in Marina and Sweet Pea. Ive been wanting to try buttons! Id love to get the acres and thicket prints! i love the peony color too! I think I would get the banana cream and charming diaper covers. I would love to have the Charming and Thicket prints (since we already have the Critters print in a Buttons Cover), thanks for the chance! They're all so cute, but I definitely want Charming and Apple, Ahoy, or Sunshine! I love Thicket! And I'd probably also want sunshine :). I love the acres and hero covers! Perfect for my little guy. Thanks for the chance. i would choose posy and sunshine! Ahoy and Charming or Marina. I might get Thicket and Ahoy! I like Pebble and Ahoy. I'd choose Ahoy and Critter. I would pick Ahoy and Acres. Thanks soo much! I like the charming cover. I love the Acres cover. You can utilize the cash to pay off your advances obligations as opposed to spending it on satisfying your extra longings.